The original Apple iPhone created a history in the touch enabled mobile phone segment, and so was Apple’s entry into the tablet market. Apple iPad was announced on January 2010. Until now Apple sold around 15 million copies of iPad, and they are the market leaders despite all competitions. Apple today announced iPad 2, the second member to the iPad family- of course with a lot of new features. Here are the specifications of iPad 2 and suggested price for each variant. A quick look at the specifications of iPad1 reveals a 1GHZ A4 processor, 16GB/32GB/64G storage options, Wi-Fi, Bluetooth, 3G, 9.7 inch multi-touch screen, etc. The device was launched with iOS 3.0 and later got the iOS 4.0 upgrade in November. Coming the iPad 2 specs, the biggest improvement is the processor. Apple iPad 2 embodies a brand new dual core A5 chip with a lower consumption rate, up-to two times faster CPU and nine times faster on-board graphics. The device has got a very thin design- its 33% thinner and 15% lighter than the original iPad. 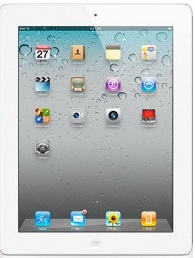 Apple iPad 2 will be available in White and Black colors ( Aluminum Unibody rear) and WiFi and 3G versions. There will be video cameras in front side and back. You can make FaceTime video calls with a Mac, iPhone or iPad using any one of the two cameras. They have introduced Gyroscope in iPad 2 also. Other notable features include a 9.7 inch Multi-Touch display with 1024-by-768-pixel resolution, GPS (not available with the basic WiFi model), Bluetooth, 10 hour battery life, Apple USB connector, 3. 5mm headphone jack, etc. As per the announcement iPad 2 will be shipped with the iOS 4.3 which will be available for download on March 11th 2011. We will let you know features of iOS 4.3 in our upcoming article. Apple iPad 2 will be available for purchase in USA from 11 th of March 2011. This time there will be CDMA and GSM models, and both will sell at same price points. The following are the suggested market price of iPad 2 3G and WiFi Models. iPad 2 Wi-Fi 16 GB/32GB/64GB : $499, $599, $699. 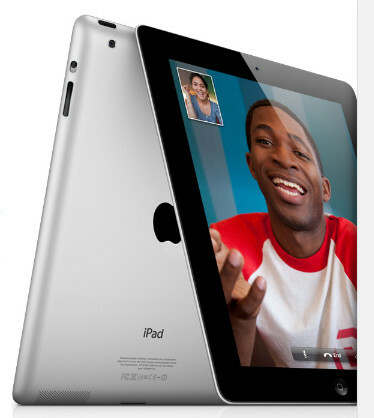 iPad 2 Wi-Fi+3G 16GB/32GB/64GB : $629, $729, $829. 25 other countries will get iPad2 from March 25th onwards. Unfortunately, this time also Apple avoided India from initial launch sectors. The price of iPad 2 India would be the same as the original iPad that is already available for purchase in Apple’s Indian stores. An interestingly new iPad 2 accessory announced today is the Apple Smart Cover. It’s a typical polyurethane/ leather (price: $39/$69) material with magnetic points that aligns perfectly on the iPad2 screen. Available in five different colors, Smart Cover will let you to keep the device in a stand-on position for watching movies and videos. Apple iPad 2 also supports HDMI output through a cable sold separately. You can play 1080p HD videos on external devices using this cable. Welll !!! I am eager to buy this amazing product by Apple. I realy want one bt the problem is i am in INDIA. Any chances i can get in march somehow ?? ?